When a loved one’s estate is involved in a Florida probate administration, you may be curious about what will happen to your loved one’s home after he or she passed away. If the home was only titled in the decedent’s (the person who passed away) name, then the property will need to go through the Florida probate process in order to transfer the property under the will or under the intestacy statute if there is no will. Or what about the decedent’s personal property? If the real or personal property meets certain requirements, the property may be protected from the claims of certain creditors in the Florida probate process. 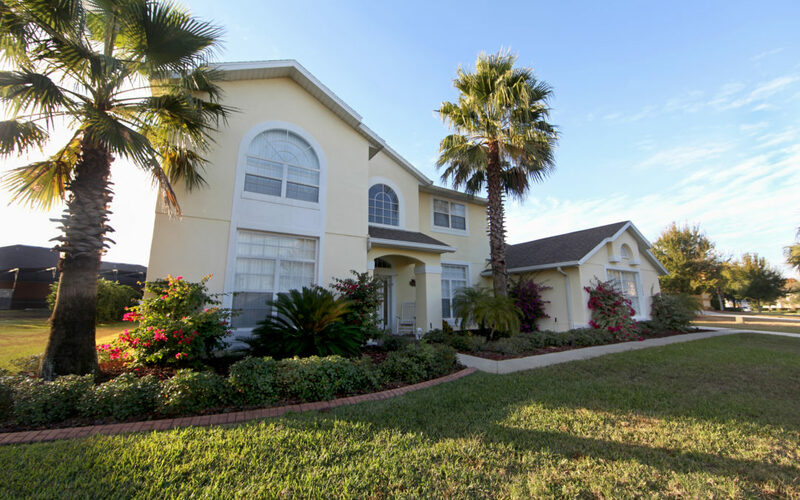 What is the Florida homestead exemption from the claims of creditors? First, what is a homestead? Homestead property in Florida is defined under Article X, Section 4(a) of the Florida Constitution. Under Article X, Section 4(a)(1), real property will qualify as a homestead “if located outside a municipality, to the extent of one hundred sixty acres of contiguous land and improvements there, which shall not be reduced without the owner’s consent by reason of subsequent inclusion in a municipality; or if located within a municipality, to the extent of one-half acre of contiguous land, upon which the exemption shall be limited to the residence of the owner or the owner’s family.” This means that if you have a house that is your primary residence on a piece of land of less than one-half acre inside a municipality, that property is likely homestead property under the Florida Constitution. Florida’s homestead exemption also applies to personal property of $1,000.00 under Article X, Section 4(a)(2) of the Florida Constitution. This is different from, and in addition to, exempt property under section 732.402, Florida Statutes, in that it applies to any personal property, not just specific types of property. What is protected by the homestead exemption under Florida law? What does the homestead exemption protect? Under Article X, Section 4(a) of the Florida Constitution, a homestead property is exempt from forced sale except for the payment of taxes and assessments on the property, obligations arising from the purchase of the property (for example a mortgage), or obligations for the improvement of the property (for example a mechanic’s lien). Importantly for probate purposes, the homestead exemption states that the exemption on the property passes on to the heirs or surviving spouse of the owner of the property, after the owner dies. This means that if a property qualifies as a homestead property during the life of a decedent, the homestead exemption will continuously protect the property from the claims of certain creditors when the property is transferred to a surviving spouse or an heir through probate, or other means. For example, if the homestead property did not have any liens or mortgages against the property, the property will pass to an heir or the spouse of the decedent without being subject to the claims of other creditors in the Florida probate estate. If there was a credit card bill outstanding at the time of the decedent’s death, the credit card company will not be allowed to force the sale of the homestead property to pay for the credit card debt. The property can pass to an heir or spouse of the decedent without the claim of the credit card company affecting it. In addition to this, if the person receive the property is using it as their primary residence, the homestead protection flows to them. This means under the right circumstances, not even the recipient’s creditors will be able to compel the sale, subject to the same vulnerabilities mentioned above. Conversely, if there is a mortgage on the homestead property at the time of the decedent’s death, the bank holding the mortgage will be allowed to foreclose on the mortgage in the event the payments are not made. The homestead is not protected from foreclosure. Therefore, if there is a spouse or heirs to the decedent to receive the property, the heirs or spouse will need to contend with the mortgage and the bank in order to take title to the property without foreclosure on the house. When is a petition for determination of homestead filed? In a Florida probate case, it is extremely important that a petition to determine homestead is filed in the probate case and that proper notice of the petition is provided to creditors and interested persons in the probate. In Florida probate cases, this means providing formal notice to the interested persons. Once valid formal notice is provided, the court will have jurisdiction over the interested persons and will bind them to a determination of the homestead status of the property. Typically, if there is homestead property in a probate estate, the petition to determine homestead is filed towards the beginning of the case. The homestead exemption is one of the reasons why talking to a Florida probate attorney after your loved one passes away is important. If your loved one has property that qualifies as homestead property, it is important to make sure it is properly protected from creditors in the probate estate through the filing of a petition to determine homestead status. It is also important to remember that the homestead exemption from creditors is a complex legal topic, so talking with an attorney is the only way for you to deteremine whether the homestead exemption applies. Contact us today to schedule a free consultation to see if our firm can help you with Florida probate issues. I’m the borrower and my mom was co-borrower and she passed in 04/18 and we have homestead so my question is who does the property belong to as there are other siblings? There is still an outstanding mortgage and I’m wanting to make sure as I’m the only one on the mortgage and the only one paying that I am sole owner of the property and home.